Home Arts Are you Proud of your government? Are you Proud of your government? Whether or not you’re proud of the current federal government, if you’re interested in politics, Michael Healy’s Proud will be an enjoyable show. “I would hope people of all political stripes come to the show,” said director and Firehall Arts Centre producer Donna Spencer. She believes the show will really appeal to political science students, political writers, and anybody with an interest in the subject. 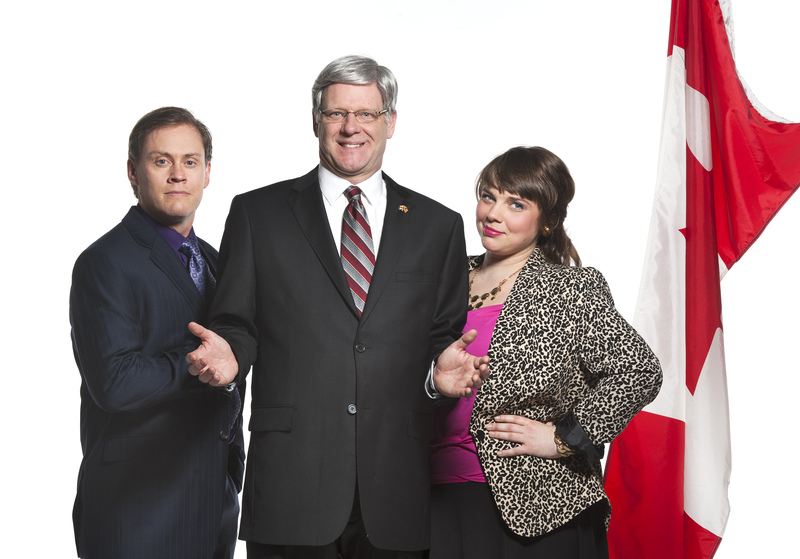 Written around the time of the 2011 election, Healy’s Prime Minister is clearly Mr. Harper, although the name only comes up once during the play and the character is referred to as “the Prime Minister” throughout. The Conservative Party is mentioned during the play which is written from the perspective of a young female member of parliament who has very little political experience. Her perspective aligns with the audience’s as she tries to navigate her way through her new political world. She feels that she has been wronged by the Prime Minister and wants to get revenge. When writing a play about a public figure, one has to be very careful about libel, but Spencer said that she doesn’t think the play is in any way libellous. “It’s not particularly controversial but it was treated that way at first,” she said. At the time the play was written, a number of arts groups in Toronto had been losing funding and there was speculation about government interference. It’s understandable that they didn’t want to produce a play that could have cost them what little funding they had. Regardless, Proud was first produced in 2012 at the Berkeley Street Theatre in Toronto. Spencer has always been interested in politics and had her eye on this play since it was first produced. “For me it was something that really resonated, and it has a couple of really great parts for actors,” she said. Andrew Wheeler plays the Prime Minister, and the whole cast has been working hard to be up to speed on politics and history. The play may not show the Prime Minister in the most flattering light, but Spencer explained that in some ways it makes his personal self sympathetic. But not his professional self, she clarified. Spencer said that she doesn’t think there’s anything the Conservatives should be scared of in this play, or the other parties for that matter. “It’s about a political process. We need to think about how we want government to function,” she said. She hopes that the show can spark some political interest in audience members. “I’m actually hoping they’ll get re-engaged about political responsibility,” she said. Proud will be presented at The Firehall Arts Centre from April 5 to 26. For more information, visit firehallartscentre.ca.